Hello all, I am Nico Barcellona and I am more ready than ever to divulge another critical aspect of having a restaurant (or any business for that matter). I’m talking about identifying your target market. Today in America, according to Forbes, approximately 59% of the restaurants close within the first 3 years. In Europe and other world countries, these statistics vary little. There are many reasons, and it would not do either of us any favors to list them all. However, one particular reason is quite important. This is a terrible mistake commonly made by amateur restauranteurs. Not having a niche of reference. What the heck does it mean? This concept is all about trying to attract certain people to your restaurant. There might be a little devil on your shoulder always yelling “Get them all! Get all of the customers!”, but the only thing this approach does is land your own restaurant in hell. Maybe that’s why it’s a little devil, he just wants you to lose your restaurant. Here’s a valuable tip: in modern business you cannot try for every customer, because you often end up with none (or at least very few). These few people are an insult, and I can give you a real-life example. I’ll give you an example to set you straight. In the beautiful capital city of Barcelona in Catalonia is where our story is set. A customer of mine, Pablo, opens a café in Placa Catalunya, at the very heart of Barcelona. It is a cozy place, great coffee, wide selections of teas and infusions – just to list a few of its strengths. The real selling point here though are the handmade pies, prepared with local ingredients by nuns from a nearby monastery. As delicious as they are natural. Pablo has got what anyone would call a winning formula. While the restaurant is slightly pricier than average, the USP and concept make it worth it to the customers. But much like every fable, there is a disaster lurking just around the corner. Pablo is making a constant big mistake: trying to attract everyone to his restaurant. From the skater boy to the senator’s wife with her elegant Chanel handbag. There is nothing completely themed, as it is designed to appeal to a broad group of customers, from the service, furniture, communication, etc. He promotes this restaurant without targeting any specific audience. He has promotions with the local paper, Facebook and passes out fliers. Result: the skater boy got on TripAdvisor and he complains about the prices, which were too high for him. He also talks about the pies, which he would say were not that good. The problem here is the underdeveloped palate of a teenager and his fixation on the higher prices. Likewise, the senator’s wife would get on the same website and leave a review complaining about the café being full of skater boys. Translation: Step by step, Pablo is killing his potentially successful café. When we met for the first time he was worried about promotion, wanted to get his name out in a big way. He though that just doing promotion was enough. While it disappointed him, I would have to do the opposite. We actually reduced promotion to avoid a boomerang effect. We broke up the market and determined the clientele we wanted to target that would be the most profitable for the cafe. Simply, we needed to find the niche of the business, which would be the people that ate the pies happily and spread the word about them without encouragement. That audience, or niche, was not the skater boy crowd. So, we needed to focus our investments in elite locations and in foodies. We changed the furniture, the communication style, removed commercial products (like soft drinks) from the menu, and actually raised the prices. Result? There was less chaos with more business, all fixed on one target audience (the big spenders with a refined palate). In turn this meant bigger profits and positive reviews. Now everyone is happy, especially Pablo. 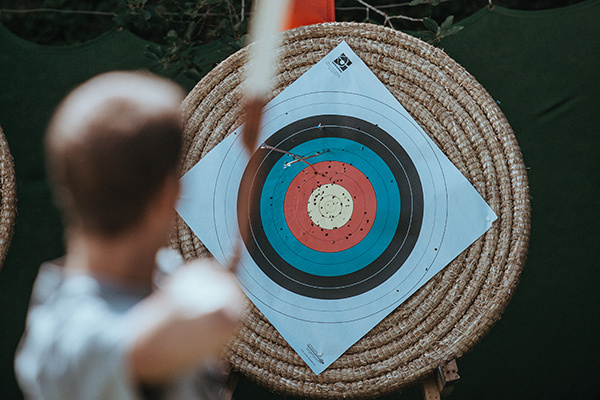 Why is Segmenting and Targeting a Niche so Important? Establishing your target is not just important – its fundamental. Everyone has their own tastes and we have to use different communication strategies, approaches, locations, and more to appease this niche. Let’s play a game to give you a better understanding. Imagine you’re home and that you have a big cake baking in the oven. This cake belongs to a big company who promises you $50 for every person who tries a slice, likes it, and leaves a positive review. Objectively, they intend to charge you $50 for every unsatisfied person. You get a list of people to call and convince to eat a piece of cake at your place. The cake has been made with premium ingredients. There is no sugar, but the cake is naturally sweetened with spoons of honey. There are no bad fats like butter, but there are eggs. The first question is: would you call everyone on the list? If not, who would get an invitation? Secondly, would the same words convince each of these groups to try a piece of the cake? Of course you wouldn’t call them all, you would focus on the middle-aged women with the refined palates and the athletic individuals. You would fixate on the genuine, light, natural ingredients that give the cake a distinct and delicate taste. This message would appeal to both of these individual groups, but would not appeal to the whole set of them. Now consider that this same company is willing to give you $50,000 to create a short, 4-5 word message to convince this list to come and try the cake. Could you do that? What if they charged you that same $50,000 for a mistake in this pitch, would you attempt it? I can feel you sweating from here. Now, there is no halfway option that appeals to everyone that could be a customer. “Differentiate your customers. Identify the most profitable group of people. Ignore all the rest”. If I were you, I would pay attention to his words. The market today demands that restauranteurs identify a niche. If you look at what has happened since the 1950s, you will see how critical a niche actually is. Since we have the time, I can share a short story with you to help you understand it more. Between the 50s and the 70s, the entire worldwide market was dominated by the largest companies mass producing products like McDonald’s and Coca-Cola. This meant hamburgers, fries, and a cold Coke for everyone. The offer was limited, and the market wasn’t segmented. The difference present here was the rich and the poor consumer. Inns, restaurants and fast food establishments all had a similar pitch and draw. The difference rested in the price and the customers that came. You had eateries for the rich, and those for the poor, and that was it. Now, between the 70s and 90s, society and the market it represented changed considerably. Suddenly people were going out to have a lunch including: singles, working mothers, immigrants, etc. More ethnic restaurants popped up. The need for advertising grew. Food customs changed as well. Ancel Keys introduced the Mediterranean Diet, vegetarians and vegans grew in hordes, nouvelle cuisine arrived, and other such things. 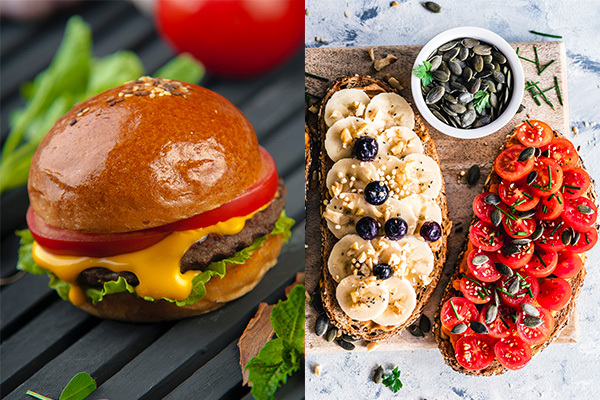 People were not just blindly eating hamburgers and fries anymore, now there were new restaurants popping up everywhere with specific targets. This target audience has very specific tastes and needs. Between 1990 and 2000, the market became really crowded, and restaurateurs’ strategy aimed more and more at differentiation. Until the internet became popular, especially in early 2000, the idea of One to One became famous. This means that the products and service provided are custom. Customers are more demanding than ever, and business savvy individuals create unique concepts to include just a single market niche. Now it wasn’t hamburgers and french fries, it was light burgers made with local, natural products. It was Granny’s vegetables without pesticides for local businessmen needing a lunch that was low in calories. These restaurants aren’t made for families with children, and the restauranteur has no interest in marketing to them. You have to have a good niche, as we are no longer living in the 1950s. 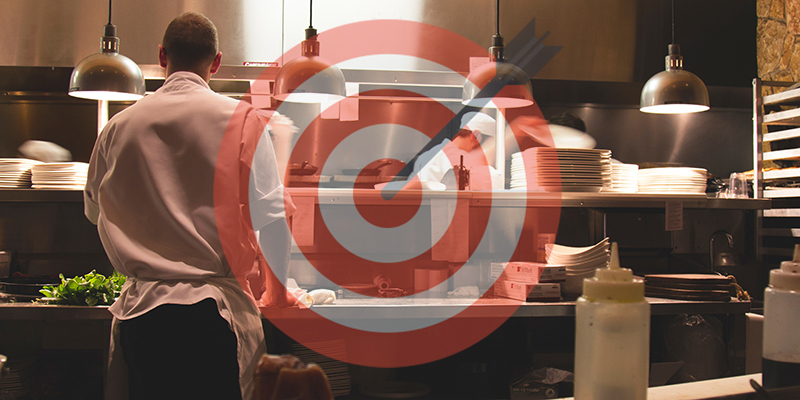 To find your niche, you should create your concept and a quality USP for your restaurant. Be passionate and motivated, and you can earn a lot of money. Now, the question is: how can you find your profitable niche? The problem itself isn’t even finding a niche, that actually is pretty easy. The challenging is finding the one that is going to be profitable for you. In 1994, there were bottles of water for cats and dogs addressed to the most fanatic animal rights activists. Remember those? They were called Thirsty Cat! And Thirsty Dog! A cool niche, according to the producers. Unfortunately, it only appealed to a handful of people. Even big companies like Pepsi blundered along the way, such as their 1989, highly-caffeinated breakfast drink. So, end of the story: that small piece of market that you’re aiming at must have enough people involved. If you only draw in ten people a day to your restaurant, your plan is not that successful. To find a profitable niche, you do not need a spell from Merlin, top secret NASA equipment, or even hours of Aramaic prayers. 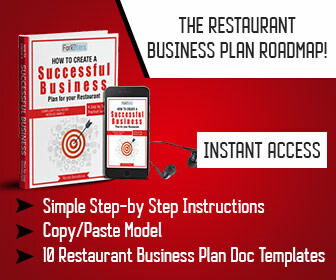 You can figure it out on your own, as you are a patient and motivated restauranteur, using the expanding tool that is your brain. Allow me to give you some information. 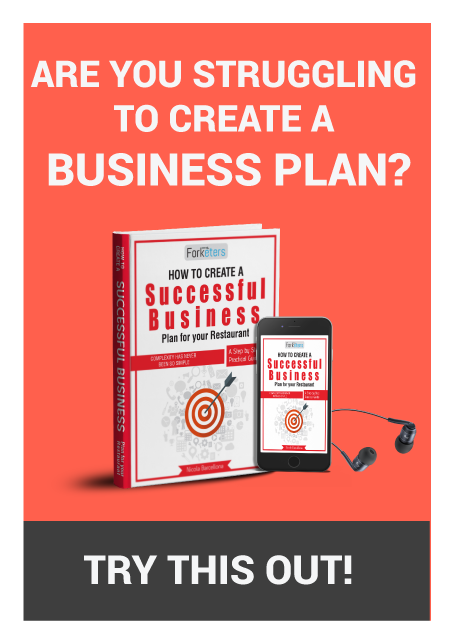 You are undoubtedly able to find books from marketers and economists regarding target marketing as a restaurant, market segmentation, finding your niches and other focal points. 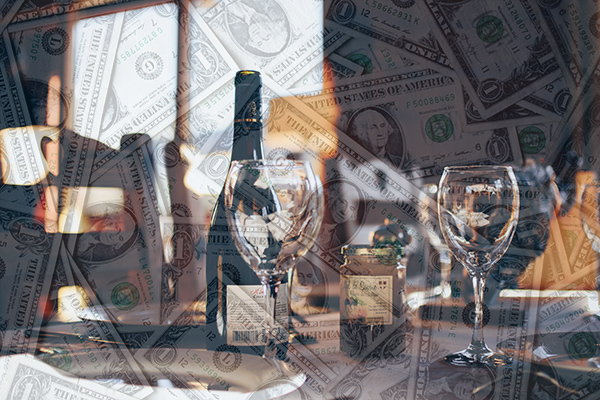 I can try to summarize the process for you, a penniless restauranteur like I was at one time. I can explain how to achieve your goal, the rough but successful way. 1. What is the current market (what people eat)? The first thing you should do is understand what works in your town, and consider the best placement for the business if you do not already have a location established. This is fairly easy to do with a site like TripAdvisor. Go to this webpage based on your town or where you want to open a restaurant. Click on “Restaurants” and you’ll see the first page, the 8 or 10 – I don’t remember now – main categories, like Italian, Seafood, Steakhouse, etc. of that town. Now, you can have an idea about what is working and what people are eating most when they head out for a bite. For example, in Dubai, you’ll find that the most popular categories are Indian, Italian and local food. In Dubai, you can see that the most popular categories are Middle Eastern, Indian and Italian. On the contrary, there are not many German restaurants. You might think well there are few German restaurants, so this must be the best niche and that’s that. Not at all. You will often find the lack of German restaurants correlates to a lack of market for that cuisine. Occasionally, entrepreneurs have encountered what economics calls a ‘blue ocean’. That is a profitable market with no competitors. If you do not have endless funding and have to stay afloat, I would not take a risk like that if I were you. In most situations, it is better to play it safe. You might have an idea about the strong categories. What people want to eat when they go out. You can consider trying one of these for yourself, provided that it suits your abilities. If you’re an Australian who has never cooked Italian food, this market would assuredly be suicide for you. I would encourage you to go to TripAdvisor, click on your category and see what restaurants would be competition for you. You can choose dozens of filters to select restaurants based on what they do, their services, and reviews from customers. And if I already have my restaurant? Not to worry, click on your category. You can find a niche at any time and take remedial action even if your doors are already open. Now, let’s go to step 3. Here is where you create a positioning map. 3. Create a Positioning Map – What the Hell is That? The positioning map is an analysis tool used to evaluate the consumers’ perception about a specific company that belongs to a certain market sector. 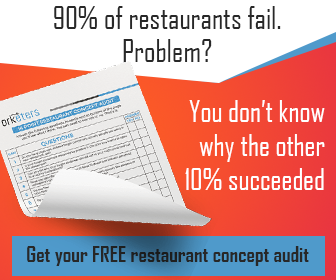 In this case, we are determining the perception of restaurants belonging to your category. 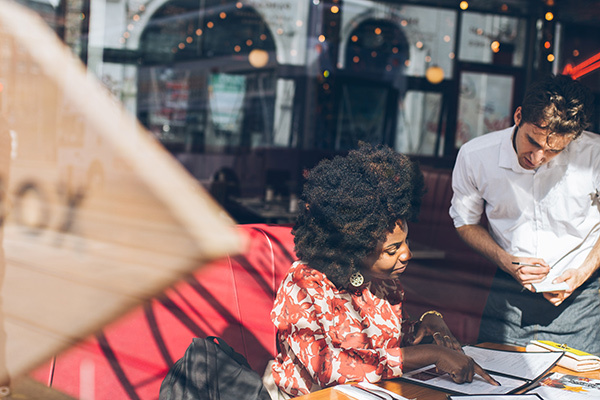 To create a positioning map, you have to identify opposing factors that lead a customer to choosing one restaurant over another. For example, high or low price, light or normal food, elegant or casual style. To do this, you must know what is important to the customer when he/she chooses a restaurant from your category. An example might be: in Dubai, I use specific factors like terrace / only interior, alcohol / just soft drinks (big difference in Muslim country), etc. I’ll draw my diagram, made up of a horizontal axis and a vertical axis. In correspondence with the ends of the axes, I’ll put the opposing factors that lead a customer to choose the restaurant. 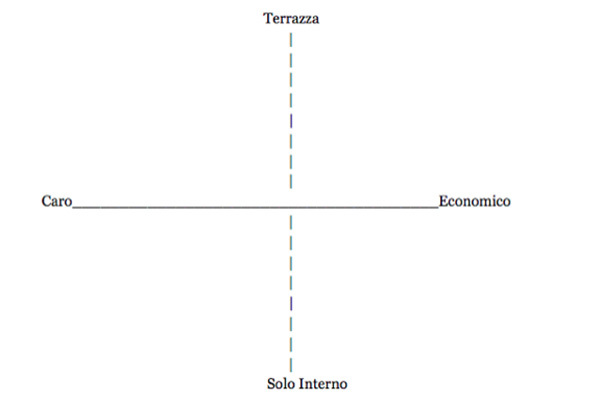 And so, for example, in correspondence with the X, I’ll put two opposing factors: Cheap/Expensive; Y: terrace/only interior. I can then go to TripAdvisor and filter to show restaurants based on these factors to put them on my map. I can draw a circle, according to the market in question, and write the name of the restaurant inside. This way, I can see if there is a space for my restaurant within the market I am attempting to infiltrate. You might find that every restaurant with a terrace also has expensive prices, leaving potential space for a family restaurant that has a terrace and reasonable prices. You need to draw up several positioning maps detailing various opposing factors like this that direct a customer to choose a restaurant. Once you are done, you will have many maps with clear graphic gaps. These gaps can help to direct you to your profitable niche. You obviously must still pour thought and planning into these identified niches, but it is a good starting point. I do have some PDF documents for you. 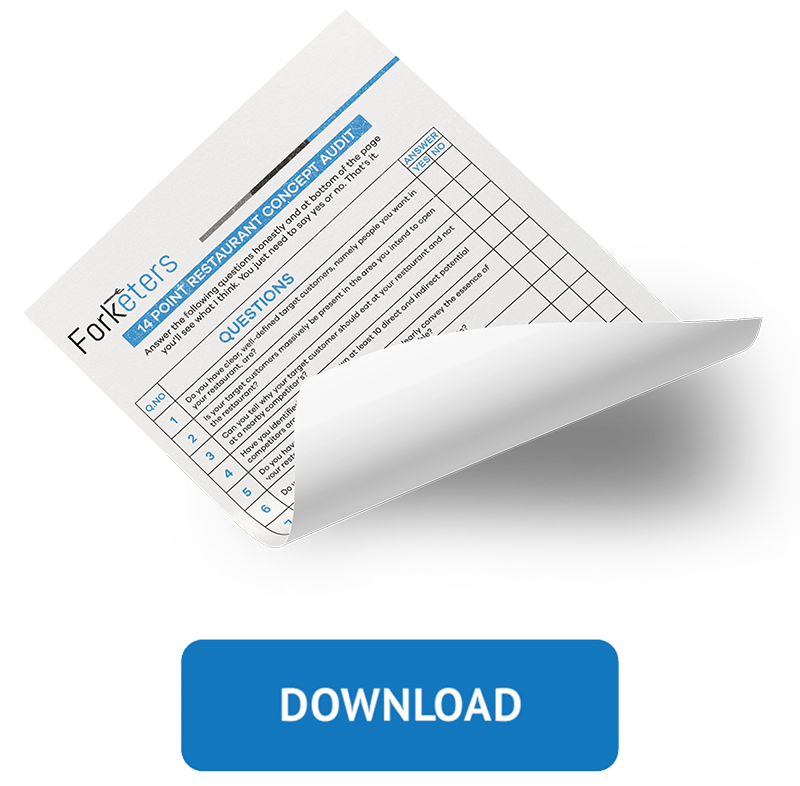 You can download them and they should help you narrow and determine your niches. I believe I have talked enough, I would suggest any niche experts or new restauranteurs to provide their opinions and advice below. The more ideas get exchanged, the more we all improve.